Artisans in Miniature: A Peek Through the Keyhole of a Miniature Artisan! A Peek Through the Keyhole of a Miniature Artisan! Have you ever wondered what it would be like to take a closer look at the working environment of a professional miniature artisan? 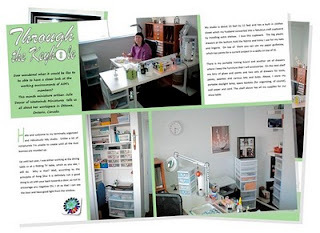 If the answer is yes then take a peek at pages 72 - 75 of August's AIM magazine where Julie Dewar of Westwinds Miniatures takes us on a guided tour of her workspace! Free August AIM Magazine Out Now!!! !